The OMNI-VAC body fluid collection system retains the aspirated materials and protects the filter of the suction system of the dentist’s chair, so preventing obstructions. The aspirated material remains in the collecting bag that can be separated from the canister and disposed of in accordance with current regulations. OMNI-VAC is a system for collecting body fluids during surgical suction. Using a vacuum source, OMNI-VAC creates surgical suction, in conformity with current regulations, against all risk of infection for the staff of the dental surgery and for the patient. 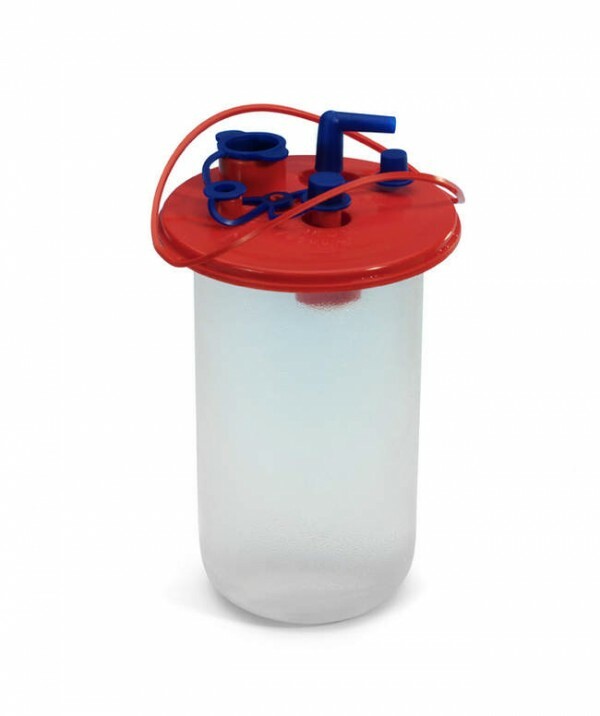 Blood, saliva, saline solution, bone particles and tissue can obstruct the suction system. For maxillofacial surgery or dental implant surgery operations, the suction system of the dentist's chair works under demanding conditions. Exemplary operation is however vital for fast, safe treatments. The bag for liquid organic waste is disposable whereas the canister made of polycarbonate, with a precise scale for monitoring and correct measurement of the volume of collected fluids, can be autoclaved at 134°C. The OMNI-VAC fluid collection system can be connected directly to the dentist's chair with the connecting tubes supplied. The capacity of the canister is 1.5 l.